A gold colored necklace with a horse pendant (what a coincidence, my shio/chinese birth year is a horse! 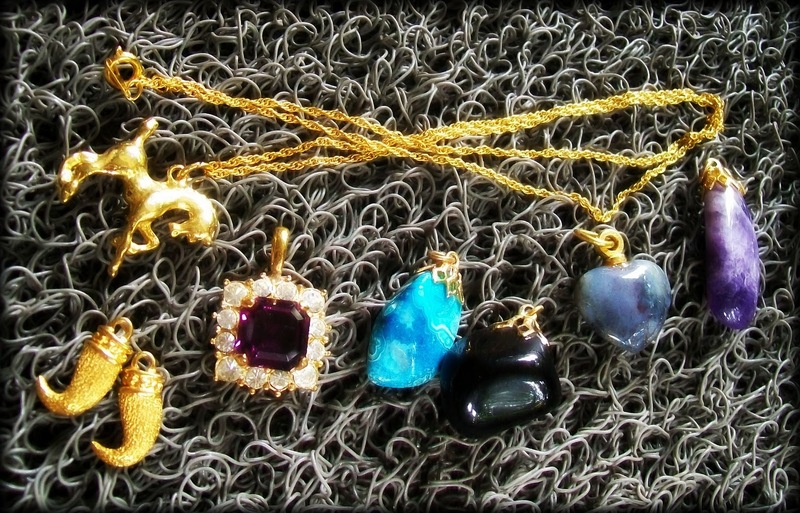 ), and a bunch of various natural stone pendants and a couple of tiny gold ivory/tusks pendants. 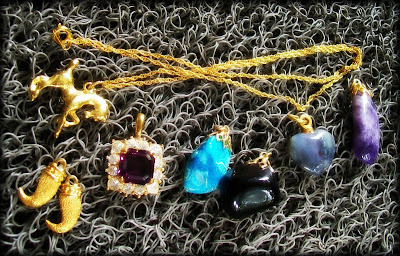 I imagine to switch around the pendants every now and then or according to that day's outfit color, I'm so excited! Two more necklaces! 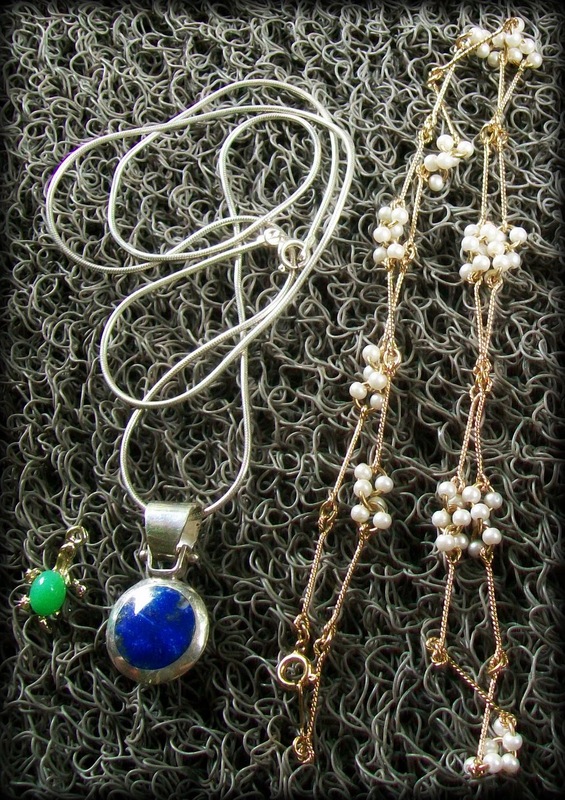 One is a silver colored necklace with a big blue pendant and a tiny green turtle pendant. 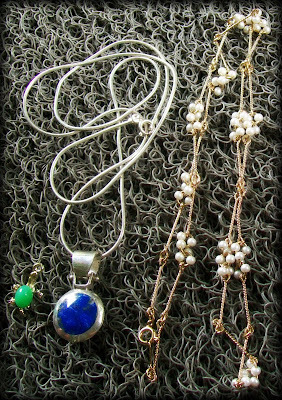 Another one is a longer necklace adorned with tiny little pearls. 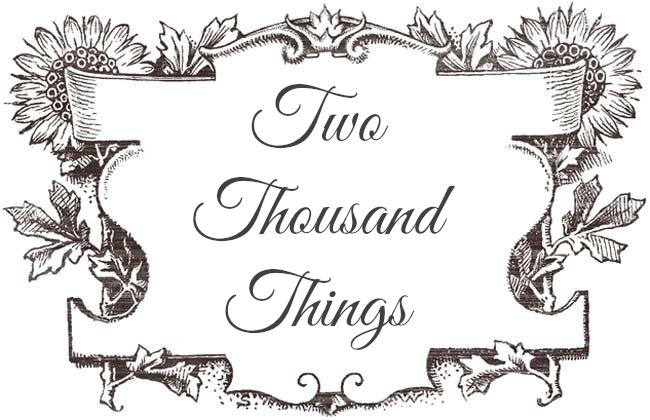 Both are lovely and I love them!